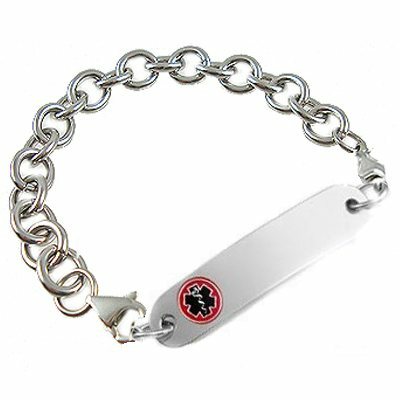 This super comfy waterproof stainless steel medical identification bracelet boasts a surgical stainless steel chain. This bracelet offers durability with two stainless steel lobster clasps to change out the strand to suit your style. 316L Surgical Stainless Steel 6.35mm oval links. No further discounts on this laser engraved bracelet. 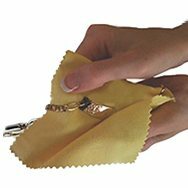 Price includes: One Ladies stainless medical id tag with laser engraving, stainless chain and two stainless lobster clasps.